Controversies are part of the Bollywood industry and surely it takes up a chunk amount in the gossip world too. 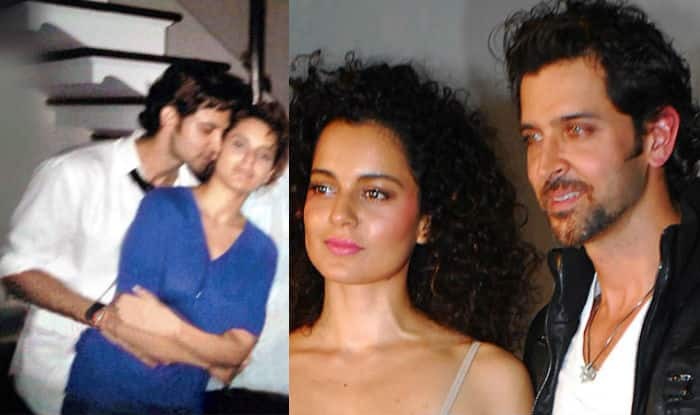 One of the biggest controversies which grasped the Bollywood fraternity too with a surprise element was that of the case of Hritik Roshan and Kangna Ranuat. Allegations and abuses did form a major chunk of their controversy with messages being circulated over media. This controversy was one which lasted for a very long period of time and to be honest took some very bad shape too towards the end. However, the truth of the case still remains a mystery till date. After this Kangana again got into controversy after calling Karan Johar “Flag bearer of Nepotism “ on Koffee with Karan show” As if these were not enough Kangana got into controversy again in “Aap Ki Adaalat”. Mira Rajput the beloved wife of Sahid Kapoor, came into limelight, when she was interviewed in a solo interview wherein her experience as the mother was asked. She nicely replied to the question saying that she was very happy and she along with her husband has eagerly waited for her daughter’s birth. She further added that she is so much interested to spend time with her child, that she cannot even imagine staying away her, leaving her like some kind of puppy. This was a very controversial statement, since it raised questions on all working women and discussions around the same hovered for a long time in the social media. The biggest controversial movie of 2017 which didn’t get the green signal form censor board to be launched into the Indian Market was the movie ‘Lipstick under by Burkha’. Clearly etching the fantasies of Women and depicting visual images of the same, along with abusive languages formed the major content of the movie. All the more, special section of the society with sensitive issue was touched upon which ultimately side tracked it into the Controversial Zone. Sonu Nigam in a frustrated tone, raised the question of being raised up every morning by Azaan, questioning the very fact, that why religion is being forced upon in the society. His statement soon became controversial with Hindu’s pointing out the fact, that the same kind of inconvenience is caused to others in the society during times of Navrati and procession ceremony of Ganesh Chaturthi. Both the top notch actors where seen in a foreign land smoking together and contemplation of them being a relation started pouring in the media. In fact, it went down to the extent wherein Ranbir has to issue a public statement just to curb down all the speculations that hovered at Mahira. These are the Bollywood controversies of 2017 – Bollywood is always in controversies for endless reasons for relationships, hook-ups breakups, bold statements, bold movies, etc; however there are few controversies that grasp the attention of everyone. Like the recent Padmavati controversy which might not end soon.